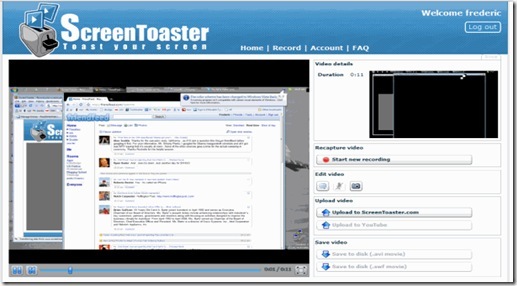 Create Video Tutorial by using screen casting software like ScreenToaster and market your own blog on social networking sites. 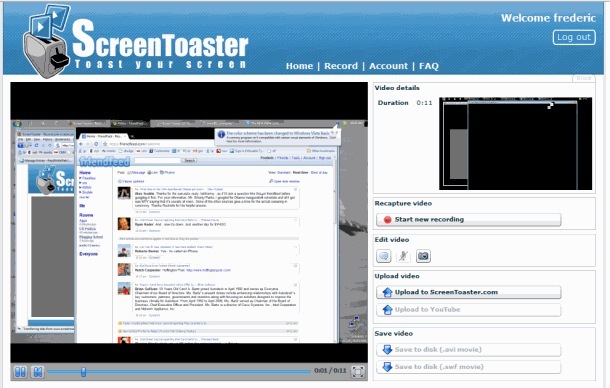 ScreenToaster is an online service, so your can use it anywhere, anytime. Benefits of using this software is that you can create tutorials, screencasts and embed them into your own blog. Or you can upload that to YouTube and market that over there. You will also find couple of new features in the screen recorder application of ScreenToaster. First, it is now possible to include both audio narration as well as webcam video in the screencast recordings. My conclusion after using this online tool is that, if your want to create a simple video tutorial for YouTube upload or blog marketing, go for this ScreenToaster or if you are more interested in professional screencasting, then opt for Camtasia or ScreenFlow like software.